Reach for your light inside. And can be found with just a little searching. but you must turn to see it. your steps illuminated by it. Why, you can even converse with it! 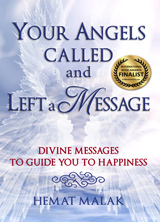 Award Winning Finalist in the 'Poetry: Inspirational' category of the 2013 International Book Awards, "Your Angels Called and Left a Message"